We are elated to present to you 33 Savvy Minerals themed class cards! These cards will elevate your cosmetics class to a whole new level. We designed the cards so that they can be printed as a 4×6″ picture to save you money! Have them printed through your favorite photo printing business such as; Walgreens, Wal-Mart, Kodak, etc. Also, we have designed for you a high-quality professional Savvy Minerals flyer! This entry was posted in Classes, Cosmetics, Event Package, Flyer, Marketing Material, Savvy Minerals and tagged Cards, Classes, Cosmetics, flyer, Make Up, Savvy Minerals, The Oil Posse, Young Living on June 23, 2017 by Jordyn Lei. This has been a project we’ve been working and tweaking for awhile now and are so super-thrilled to finally have it firmed up and ready to provide FREE for all of you to use! Here it is, the ULTIMATE HOSTESS EVENT PACKAGE!!! Everything you need to help your potential hostess get ready for a Young Living essential oil event! Hostess Checklist, Hostess Incentive Sheet, Event Flier, Invitation Postcard, and Hostess Information Sheet! Now you can approach your potential hostesses like a professional with coordinating marketing material! Enjoy! This entry was posted in Classes, Invitations, Marketing Material, PSK and tagged Classes, Essential oils, Event, Hostess, Hostess Package, Package, The Oil Posse, The Oil Posse Team, Young Living on May 16, 2017 by Jordyn Lei. This entry was posted in Banners, Classes, Marketing Material, Vendor Events and tagged Banners, Children, Classes, Essential oils, Kids, KidScents, Meetings, The Oil Posse, The Oil Posse Team, Vendor Events, Young Living on March 30, 2017 by Jordyn Lei. 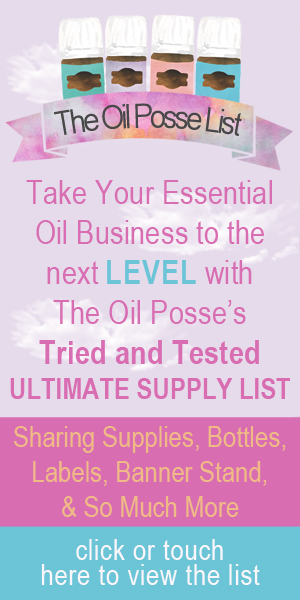 This entry was posted in Banners, Classes, Marketing Material, Vendor Events, YL Classes and tagged Banners, Classes, Essential oils, Events, Meetings, The Oil Posse, The Oil Posse Team, Vendor Event, Vista Print, Young Living on March 26, 2017 by Jordyn Lei. The adorable muslin drawstring bag you see to the left was posted in a Facebook group by Myra Hamby Morton. Myra purchased this via Etsy. However, there were many who said if they had the design as an SVG file they could make their own. So, of course the Oil Posse team went to work and we are happy to provide you with a very similar design so you can make your own. This entry was posted in Classes, DIY, Gift Ideas, Love It, Share It, Marketing Material, New Member, Vendor Events, Welcome and tagged Classes, Events, Muslin Bags, New Member, Thank You Bags, The Oil Posse, The Oil Posse Team, Vendor, Welcome on March 22, 2017 by Jordyn Lei. This entry was posted in Banners, Classes, Marketing Material, PSK, Vendor Events, YL Blends, YL Classes, YL Single Oil and tagged Banners, Classes, Meetings, PSK, The Oil Posse, The Oil Posse Team, Vendor Events, Young Living on March 20, 2017 by Jordyn Lei. The above is PREVIEW only. Download the PDF below. This entry was posted in Aroma Dome, Banners, Classes, Marketing Material, Poster, Vendor Events and tagged Aroma Dome, Banners, Classes, Events, Foam Board, Meetings, Poster, Sign, The Oil Posse, The Oil Posse Team, Vendor Events on March 16, 2017 by Jordyn Lei.